The hidden apparatus has been constructed to monitor “domestic extremists”, the Guardian can reveal in the first of a three-day series into the policing of protests. Detailed information about the political activities of campaigners is being stored on a number of overlapping IT systems, even if they have not committed a crime. 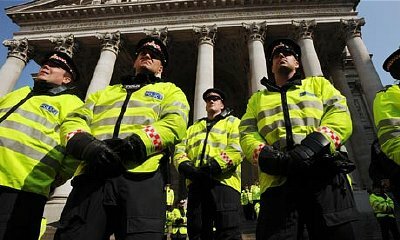 Three national police units responsible for combating domestic extremism are run by the “terrorism and allied matters” committee of the Association of Chief Police Officers (Acpo). In total, it receives £9m in public funding, from police forces and the Home Office, and employs a staff of 100. Denis O’Connor, the chief inspector of constabulary, will next month release the findings of his national review of policing of protests. He has already signalled he anticipates wide scale change. His inspectors, who were asked to review tactics in the wake of the Metropolitan police’s controversial handling of the G20 protests, are considering a complete overhaul of the three Acpo units, which they have been told lack statutory accountability. Acpo’s national infrastructure for dealing with domestic extremism was set up with the backing of the Home Office in an attempt to combat animal rights activists who were committing serious crimes. Senior officers concede the criminal activity associated with these groups has receded, but the units dealing with domestic extremism have expanded their remit to incorporate campaign groups across the political spectrum, including anti-war and environmental groups that have only ever engaged in peaceful direct action. All three units divide their work into four categories of domestic extremism: animal rights campaigns; far-right groups such as the English Defence League; “extreme leftwing” protest groups, including anti-war campaigners; and “environmental extremism” such as Climate Camp and Plane Stupid campaigns.